This image shows a ring which indicates the bending of light rays in the intense gravity around a black hole. In 1929, when a young American astronomer, Edwin Hubble, published his paper of ‘dynamic universe’, Albert Einstein realized that he made a grave mistake to add a cosmological constant ( Λ) in his equations while imagining a ‘static universe’ in his ‘Theory of Relativity’. When Einstein derived his equations of general relativity, he found that these equations couldn’t give any proof of a static universe. He, then, introduced a “cosmological constant” in his equations without defying the laws of physics and mathematics, and achieved a ‘static universe’. Later, he removed cosmological constant from his equations which give a ‘dynamic universe’. He not only considered the universe a static universe but also denied the existence of Black Holes in spite of the fact that his General Theory of Relativity predicted their existence. Speaking of Black Hole, did you know that scientists successfully captured the image of a black hole using Event Horizon Telescope observations of the center of the galaxy Messier 87 (M87)? Einstein’s General Theory of Relativity shows how gravity bends space-time around itself. When a light ray travels through this space-time, it follows its curvature which results in bending. This bending of light is called Gravitational Lensing. Einstein, in 1915, described Time as a physical dimension which can be bent like any other physical dimension but no one has ever witnessed such a feat. Was he right? Is time really a physical dimension? Or just a perception of our mind? Out of all the four fundamental forces, Gravitational Force is the weakest force. Stephen Hawking, in his The Reith Lectures, tried to explain this weakness. He talked about the other higher dimensions where the gravity may be operating in higher dimensions. “Gravity, however, would affect the extra dimensions and would be much stronger than in our universe”, he said. We can’t see these extra dimensions because light doesn’t interact with these dimensions but Gravity does. 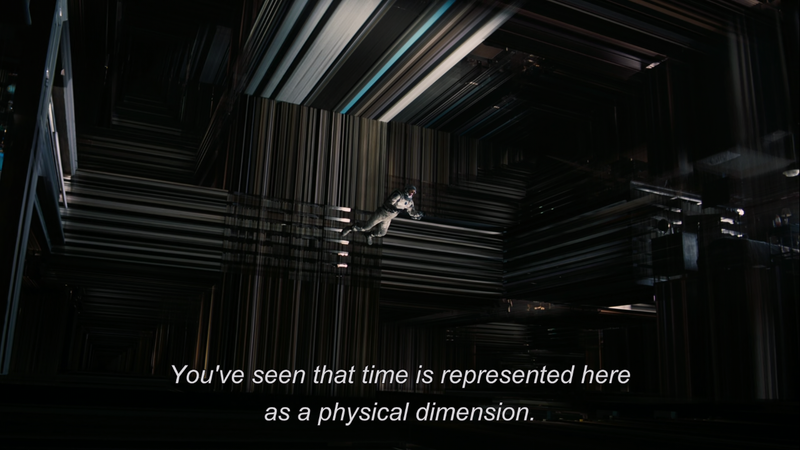 In the movie Interstellar, we witnessed such interaction when Cooper exerted force through space-time to move objects in the past as gravity can travel across the dimensions, including Time. He, even, passed Quantum data of the black hole, in which he was dwelling in, to his daughter in the form of Morse Code. There are many science-fiction movies, like Predestination, which show the concept of time travel, and if you’re a Marvel fan, like me, you might have heard of an exciting theory about how the Avengers go into the past to undo the snap of Thanos. This theory is based on the Multiverse theory. In 1952, Erwin Schrödinger gave a lecture about how his equations describe different histories of a single event. These histories were not alternatives but all would happen simultaneously. According to Feynman, an event has not just one history but every possible history, and the present state of the event is the superposition of all these possible histories. His argument is based on Double-Slit Experiment which I discussed in my article “The Subtlety of Quantum Mechanics” where an electron took each and every possible path to acquire the information about the slits (whether one of the slits is open or both or none) before it hit the screen. There are two types of approaches to explaining the present state of our Universe. One of the approaches is the Bottom-up approach where the initial conditions of a certain model are known and a set of events is assumed which led to the current state of our model. Most models of the universe are bottom-up i.e., you take the initial conditions present at the time of Big-Bang and work forward to explain the current state of the universe. However, this method is flawed because we don’t (and can’t) know the initial conditions present at the time of Big-Bang. Therefore, Hawking and Hertog proposed a new approach: Top-down approach. In this approach, you take the present conditions and go back in time to determine the initial conditions. This new approach gives rise to different possible histories of our universe and their corresponding different sets of events to describe the current state of the universe. These different “histories” might be different universes in other higher dimensions which exist parallelly. All these different universes have different sets of events and different constant values (like Planck constant, cosmological constant) which led to their current state. The top-down approach shows why these some constants are finely tuned for the life to exist and evolve. For example, the positive value of cosmological constant shows that the universe is expanding at a finite rate, and negative value shows that it is contracting. If the value were any bigger or smaller then life might not exist today. Some universes quickly faded away at the beginning because of their ‘finely tuned’ parameters and some might continue to exist longer than ours in other dimensions. The concept of multiverse theory is beautifully demonstrated by the director of the movie “Spider-Man: Into the Spider-Verse” where more than one spider-man came from different universes (with their different histories) because the antagonist opened the portal to another dimension. 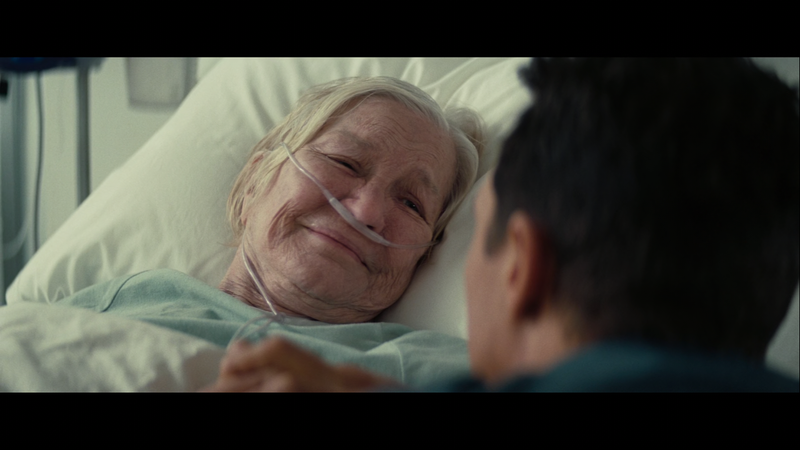 Once I was watching Interstellar and when its end was near my mother came to see what I was doing. I showed her this, above, scene, and asked her to guess who’s older? She replied with a firm smile, “Simple, it’s the lady”. “Yes she is, but the guy who’s holding her hands is her dad!”, I said. The next moment I saw her looking at me skeptically. She exclaimed, “Huh! That’s Impossible!”. Yeah, mom, that’s impossible… for now at-least but in the future, it might become the reality. Just as Albert Einstein denied the possibility of the existence of Black Hole even when his own theory made a prediction about black holes. And after 100 years, Einstein’s theory still holds good as scientists captured the first-ever image of a Black Hole. So, who knows after some years scientists would be able to bend the Time like any other physical dimension. Trying to understand the Cosmos as it is!